This thick and creamy milkshake style smoothie can actually also be eaten as a fruity dessert with a spoon if you feel like mixing things up a little! Bursting with flavor and some hidden goodies, you won’t miss out with this smoothie! Using coconut milk is a healthier alternative to cow’s milk with less sodium and calories and also does not contain lactose making it perfect for those with intolerance. For a dairy-free smoothie ensure that you buy dairy-free Greek yoghurt as some contain lactose – always read the label. Papayas are an exotic fruit that are high in vitamin C and fiber which can specifically aid in digestion and help those with IBS and other digestion related ailments. Papayas can help to prevent heart diseases linked to diabetes and promotes a healthy cardiovascular system. 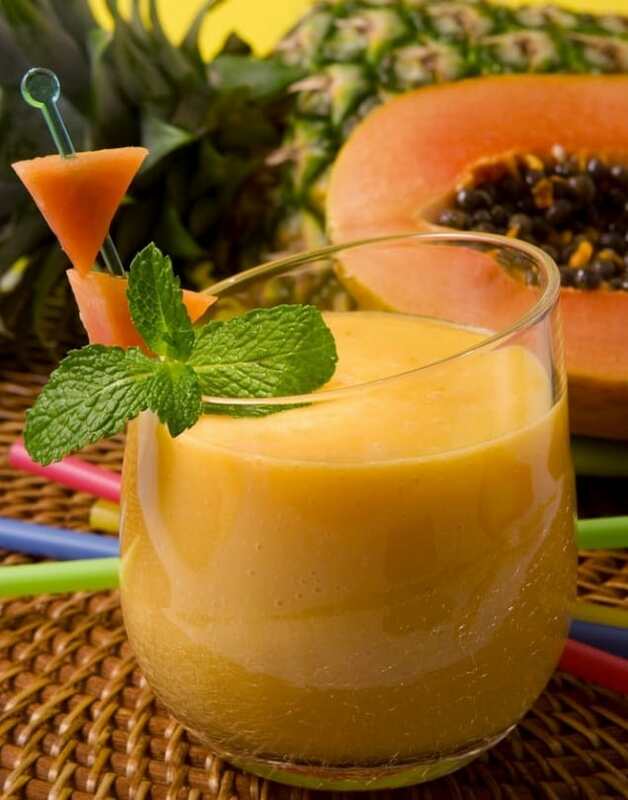 Also both pineapple and papaya contain an enzyme called papain which can help to treat allergies and sports injuries and has restorative properties for those looking for muscle repair who exercise frequently. Overall, using a small helping of this fruit in a smoothie can reap big rewards for your health and should be incorporated more into your diet. In my blog I share with my readers the very same methods that helped me lose 76 lbs in one year. I Love cooking, hiking and totally fanatic about HBO shows.